Midfielder who joined FC Barcelona in 2016. He made his senior debut for Benfica in 2012; he spent two years playing for Valencia from 2014 until 2016. He began his youth career with Porto in 2005 and also spent time with Pasteleira and Boavista before joining Benfica's youth set-up. 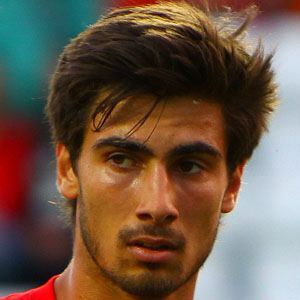 He appeared in 14 matches for the Portuguese U20 team from 2012 to 2013. He was born in Grijo, Vila Nova de Gaia, Portugal. He and fellow midfielder Ruben Amorim became teammates on Benfica.